Jon Stewart may have left the Daily Show in August, but he isn’t quite done making a difference yet. With a post-9/11 bill aimed at helping First Responders who risked their lives on September 11, 2001, set to begin phasing out, the former TV host decided to help do something to change that. The James Zadroga 9/11 Health and Compensation Act, named for a New York City police officer who died of a respiratory disease linked to his participation in rescue and recovery operations after the World Trade Center was attacked, came into being in 2010 after Congress was finally shamed — including by Stewart, who spent his final show of 2010 razing lawmakers for their uncaring attitude toward those responsible for dealing with the aftermath of the greatest tragedy in our nation’s history — into passing the legislation that would provide thousands of first responders with treatment for their injuries and compensation for their economic losses. Unfortunately, the legislation is due to expire in this Congress, with the phase-out beginning next month — an issue that could leave many families without much-needed financial assistance. Stewart has joined with lawmakers and first responders who wish to avert catastrophe by reauthorizing the bill. To make matters worse, the $2.75 billion Victims Compensation Fund — which hemorrhaged $90 million because of the “Sequester” in 2013, is set to end on October 3, 2016. Anyone diagnosed with a 9/11-related illness or cancer after that date will not be eligible for assistance. “This is such bulls**t. It’s insane,” Stewart told Gillibrand during a Daily Show interview — and Stewart’s vow to assist in keeping these programs alive is not of small import to first responders. Citizens for the Extension of the James Zadroga Act, whose purpose one can easily guess, has listed lawmakers who have no pledged their support — and it doesn’t look pretty on either side of the fence. Surprisingly Republicans, who reference 9/11 almost as much as they do Benghazi, offer little support to the reauthorization act– though Democrats do seem more willing to lend a hand in getting the bill to pass. If you would like to help convince Congress to do the right thing, there’s an app for that. Citizens for the Extension of the James Zadroga Act allows you to search for your representatives so that you can let them know how you, as a voter, would feel if they neglected thousands and thousands of brave men and women who served our nation on September 11. “This tool will allow 9/11 responders, survivors, their families and supporters to see where each member of Congress stands on renewing and extending the James Zadroga 9/11 Health and Compensation Act and whether ‘Never Forgetting 9/11′ is just a hollow political statement or something that members of Congress are in fact committed to doing,” said deputy chief of the New York City Fire Department Richie Alles when the app was introduced. “Let’s schedule a call, and let’s schedule a ritual shaming around that time,” Stewart said earlier this year. “I obviously at that point will be knee-deep in, more than likely, grain alcohol. 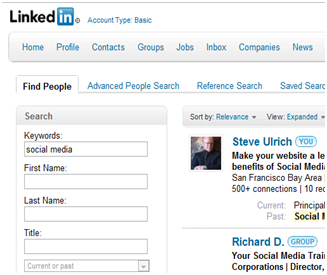 Why Do You Need to Dominate Your Profession on LinkedIn Search? relevance, links, and SENIORITY (that’s right – if you have had dominance for a keyword for years, it’s darn hard for anyone tobump you from it) LinkedIn is still relatively virgin territory. For business owners in the more popular competitive fields it is virtually impossible to beg, steal, or borrow a top page one ranking on Google. The smart larger firms started optimizing for SEO ages ago. They hire rooms full of people in Bangalore or Shanghai to sit around for $2.20 a day and stuff keywords into content, Meta tags, Meta descriptions, photo titles,pop-ups, dropdowns, and URL’s. GORGEOUS, SUNNY, NEWLY RENOVATED HOME REDWOOD CITY RENTAL – 2 bdr/ 2 bath Home near everything! GORGEOUS, SUNNY, NEWLY RENOVATED HOME! Looking for an “Island in the storm” from all the impersonal apartment complexes throughout Redwood City? enters with dogs! Still close to all the action of Redwood City and the vibrant Bay Area, yet nestled into a cul-de-sac with little traffic and neighbors who are well established professionals. REDWOOD CITY, CONVENIENT TO DOWNTOWN ENTERTAINMENT AND DINING, SHOPPING CENTERS, HWY 280, HWY 101, STANFORD, GOOGLE, FACEBOOK, BOX, ETC. * Email and LEAVE PHONE NUMBER to schedule a walk through. Please tell us a little about yourself and your expectations. We don’t want to waste your time if it isn’t a good fit for all of us.